Greek, Etruscan, & Roman Bronzes (MFA), no. 656. 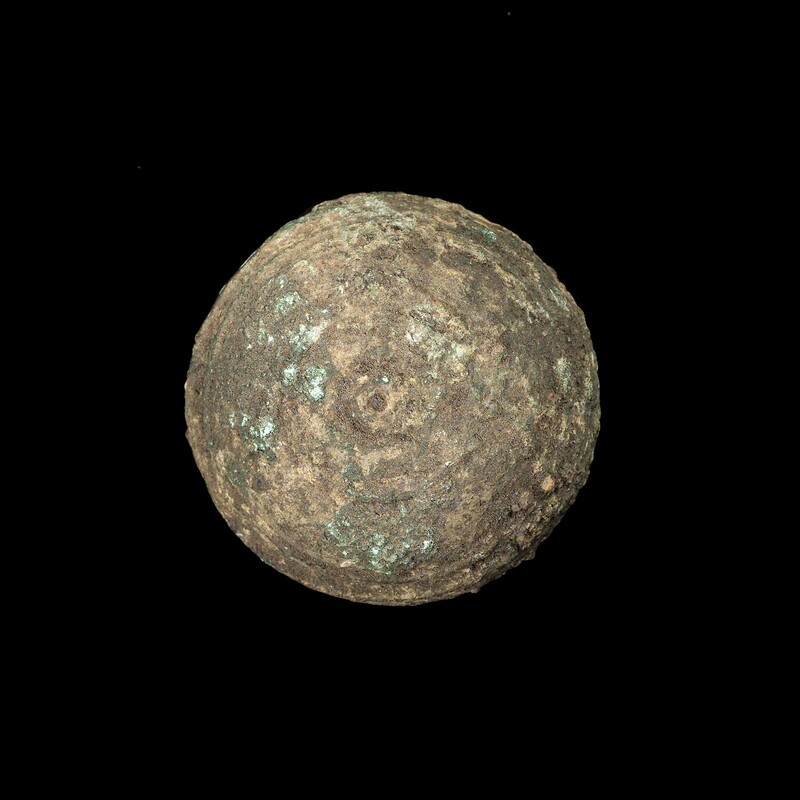 In shape, a flattened hemisphere. Concentric raised circles decorate the convex side. Rings were attached to the bottom at opposite points near the rim. Green patina, encrusted. From Assos (Behramkale, Turkey); necropolis. 188? : excavated by the Archaeological Institute of America; gift of the Archaeological Institute of America to MFA, January 15, 1884.